As you’ve generated your concepts and ideas for your novel, setting it up into a coherent framework to start writing off of will make the writing process go so much smoother. At times it seems like the writing isn’t happening any faster, but there’s a map to go off of and you can keep everything moving in the right direction. Having a large amount of work pre-done before you start writing can also help you generate ideas and prevent writer’s block. 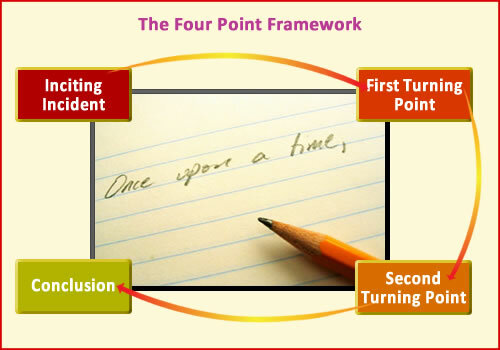 The first major bit of outlining after the brainstorming sessions is to develop the four main points of the novel, what I call the four point framework. The four point framework is a very simple system to use. It doesn’t have to be very long nor does it have to be complex. The four points are simple what the overall story is based around. The points are the inciting incident, the first turning point, the second turning point, and the conclusion. It’s really that simple. When you have this completed you will see, in a big picture style of view, how the story is going to progress. This also helps you keep everything tracking right. So let’s take a look at what each point is and how to use it. The inciting incident is exactly what it sounds like, the event that gets the whole story going. This needs to come quickly in the novel, starting the hero on a journey that affects them in ways they never knew possible. The inciting incident is an external force on the hero that forces them to question the world that they know. It could be winning the lottery, a death in the family, a car accident, a strange package arriving, a war breaking out, aliens landing on the planet or an invitation to a party. When the inciting incident happens, the hero, whether they want to or not, must begin to take action. Sometimes they are forced to take that action, other times they figure it out on their own that they must do something, but the hero is moving into strange territory now. The inciting incident must be something big enough to get people interested in the novel and it must come quickly. Readers aren’t going to stick around for twenty pages describing the hero’s normal, everyday life. If the hero has a major backstory that you feel the readers must know, that can be shown through action and interaction with others, not narrative at the beginning. Get the story moving and the reader hooked. The second step is the first turning point. This is where the hero and his friends realize that things are far worse than they originally thought. This is where new challenges that he never thought he would have to face are cropping up all over the place. The hero has already entered a much bigger world than he’d even known before, meeting new people and seeing strange places, but now, everything got worse. There is more to deal with than the hero ever thought possible. The next point is the second turning point. This is where the hero thinks that they have things finally figured out and going the right direction but they are still far off from completing the goal. They thought the end was getting near but now they realize how much of the journey is left to complete. This can be the point where the hero contemplates giving up and turning back but decides to press on. This part of the story is the darkest part, where everything seems to be turning against the hero and his friends. Anything that can go wrong is going wrong and the hero seems to be losing the struggle. This is where the hero is tried and tested at his very core values. This is where we find out what he is truly made of. If the hero can make it out of this test he knows that he can make it through anything. Finally, we get to the conclusion. This is where the hero either saves the day or has lost, depending on the type of story you’re writing. The conclusion is where all the loose ends are wrapped up and the story ends. The hero returns to his small world from the beginning, taking with him all the learnings and trainings that he got along the way. This journey has ended and a new one can begin, but the story draws it conclusion. Inciting incident: Main character is working at the accounting firm when the aliens start landing on the planet, attacking. Man wants to get to his wife and kids at their house in the suburbs. First turning point: Military comes in and starts fighting back. Man is trapped in a war-zone. He has no idea how to get out. Second turning point: Man meets group that knows secret way out of the city. Goes with them but they are attacked and have to hide. Many die. Conclusion: Remaining members meet up with military who get them out of the city. Man is able to find his wife and children who are safe. That’s all it really needs to be. That simple. Within the framework and between the points will be a lot more information and work, but this just looks at the four main points of the story. By having this brief outline you can better shape your work as you move along and have a better way to track if your writing is staying on target or going off on a different direction. 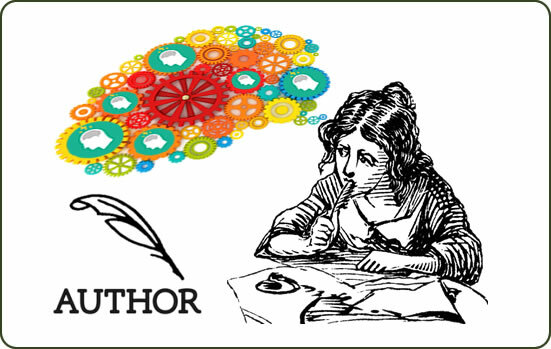 Stay tuned as I continue with some great ways to outline your writing. Next week we’ll look at more in depth methods of outlining and how to get your story to start taking shape. It will be a blog that you don’t want to miss. 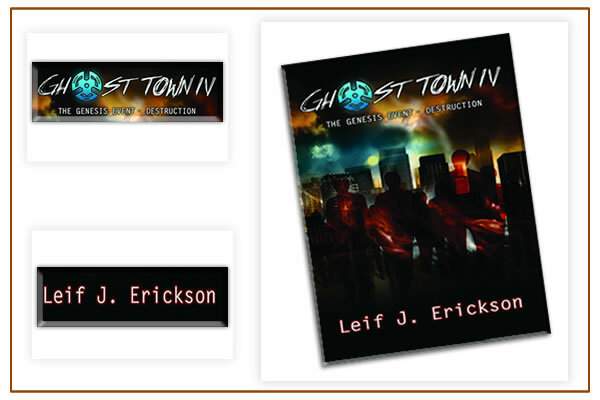 Thanks for reading and be sure to head over to www.leifericksonwriting.com today and check out the books I have for sale. Thanks.